I always meant to re-read this book, because I originally read it in high school, where I hated most of the "classics" I was forced to read (one notable exception: Tess of the d'Urbervilles). So when Stephen Colbert decided to have book club in celebration of the release of the new film adaptation, I figured it was a good time to give Gatsby a second chance. I don't remember exactly why I hated this book in school, but I can give a pretty good guess: I most likely thought it was pointless and boring. Nothing actually happens until the last quarter of the story. I had no historical/cultural context in which to place this book. I knew nothing about that period in history. I'd also never been around disgustingly rich people (nor have I since, though I've seen them on television), or given much thought to this iconic thing called "The American Dream". Aside from the two years I lived in Tennessee in grade 2-3, I've spent all my life in Canada, where our dreams are probably less grandiose (grandiosity isn't very polite, you see). I was a hard-working student, and an athlete, concerned (to the point of constant anxiety) with excelling in achievements that didn't involve fame, money and pomp. I had no context in which to place the characters in Gatsby - they may as well have been aliens, they were so unrelatable. I've recently read some opinions online regarding whether or not the "relatablilty" of a book's characters is a valid way to evaluate a book. I think it is, though it shouldn't be the only standard. 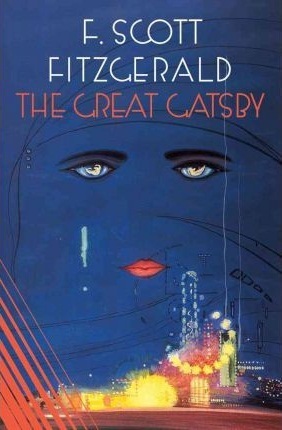 The Great Gatsby has many redeeming qualities that have been pointed out by others - its prose, its social criticism, its portrait of an era in American history. But I think the average teenager needs to connect with a story on a personal level in order to enjoy it. And I don't know that a lot of them could do this with any character in Gatsby, without a lot of help from a talented English teacher. Which I obviously did not have. Most kids can relate to a Holden Caulfield, but not a Nick Carraway (who is kind of a blank slate, anyway), or even a Daisy Buchanan. I think this is an adult book, with adult topics, and if you force kids to read it, they are going to hate it and never go back to it, which is a shame, because reading it now in my late thirties I can finally begin to "get it". You might ask why I bothered to pick it up again if I hated it so much when I was younger. I've read a lot more classics since then, and learned a little bit more history. I have more context. I knew the book couldn't be as bad as I remembered it. And it's not. But it's not the best book I have ever read, either. I don't think there is such a thing as "THE Great American Novel", and even if there was, I don't think this is it. I think there is much more to America than the themes explored in The Great Gatsby, especially now. Gatsby makes a good-sized dent, but it's incomplete and one-sided. Maybe it's the Great White American Novel of Its Day, but it's not so accessible to a lot of people. The Great Gatsby sometimes reminds me of a television soap opera my mom has been watching pretty much since I was born - a bunch of bored rich people creating their own drama because they're so rich they have nothing better to do. I get that that's not what it's really about, but that's the window dressing, and it's so blindingly banal, it's off-putting. You have to do some work to get inside the house, otherwise you're just standing on the lawn feeling uneasy about what's going on in there. Look, I get it. Wealth, obsession, the American illusion, and I get why this would be a wake up call to people caught in the trap. I've never been in the trap, and in a sense my whole life has been an exercise in being Nick Carraway, looking at the illusion from the outside, sometimes drawn to it, other times repulsed, but always on the outside, analyzing and shaking my head (okay, Nick doesn't do "judging", so that's all me). I'm not a professional reader, I'm just a reader that likes getting sucked in, feeling involved, feeling a connection. I can appreciate The Great Gatsby's cultural criticism and often amazing prose. I can appreciate the 'snapshot' of a mass illusion in progress. I like Gatsby as a tragic figure. I can even appreciate a book that makes you work for it. But I don't really do book reviews. I do personal reading experience reports. And my personal experience reading this book was kind of "meh" until near the end. Which is improved from the "zzz" I must have had when I read it in high school. Recommendation: Get yourself some context before reading it. Know what you're supposed to be looking for, and why it matters, and you may not get bored. All reviews © Michelle L. Martin 2013.. Ethereal theme. Powered by Blogger.